Forget Love, I'd rather fall in Chocolate. If you are not sure how to get your chocolate fix, don't worry; I took on the tough assignment of checking it out for you. I discovered some local indulgences, listed according to the three all important Ws: WHO WHAT & WHERE. Scroll down to see where to get your fix. Chocolate and Wine Sip Tip #1: Pair lighter chocolates with lighter wines; darker chocolates with full-bodied wines. Go from light to dark in your tasting session, starting with milk or lower percentage cacao chocolates and their corresponding wines. Suggestive pairings for Milk Chocolate: Merlot, Riesling (debatable), Sauvignon Blanc and Dessert wines. Pairings for Dark, Bittersweet and Semisweet chocolate: Zinfandel, Syrah, Tawny Port. Armagnac, and Cognac. 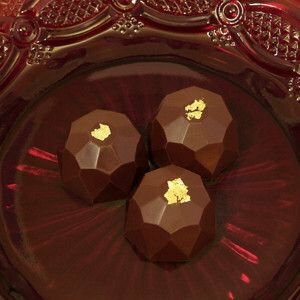 If you're looking to pair up Cabernet Sauvignon, Pinot Noir, or Sangiovese reds, they need to be well-aged to suitably pair with darker chocolates. "Take a dip. I'm fond of fondue"
"Classic mint is a must"
"A chocolate PORT in the storm"
Want to know where to get your hands on some of the area’s best sweet treats? Delight your senses with the rich aroma of pure chocolate. Taste the steaming hot or icy cold drinking chocolate. Available at a cute little shop across the street from The Davenport Hotel, The Coeur d'Alene resort and at the Bruttles candy factory near the old U City mall in the Spokane Valley. Peanut Brittle and Chocolate are a classic combination. A sweet Spokane tradition, Spokandy has been selling their original, delightful treat the "Murphy" since 1913. Chocolate Myracles, Spokane Valley, WA. Pixie Dust Chocolates, Spokane, WA. Handmade solid chocolates with creative cocoa butter paint or shimmer dust. Great selection at the Rocket Market. Icicle Ridge Winery - Leavenworth, WA. Chocolate Cherry Passion wine was intoxicatingly delicious. Brown and Haley Almond Roca - Tacoma, WA. 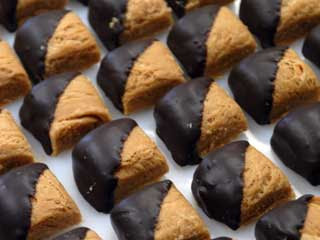 In 1923, the company hit the jackpot with a crunchy, log-shaped candy piece suffused inside with butter and coated with chocolate and diced almonds. They still make the world famous ALMOND ROCA® butter crunch toffee one kettle at a time at the factory in Tacoma WA. With Chocolate, you get what you pay for. In this case a $5 Chocolate Bar is worth it. Theo is not only tasty but a sustainable organic choclateur. Tours available. Reservations requested. Fall in chocolate. It's usually sweeter. Sip's post was published in Spokane Coeur d'Alene Living magazine. You really should add Xocai chocolate to your list of chocolate to go hand-in-hand (wrapper-to-bottle) with red wine. As someone with a history of diabetes in his family, not only is Xocai delish, I can testify as to how it keeps down the glucose levels (where other candy shoots it to high heaven). If you'd like a sample (guess it is kind of hard to get), I can have my cousin, Bonnie Clark (I'm begging it off of her, all of the damned time), send you a few (individually wrapped) samples (gratis). 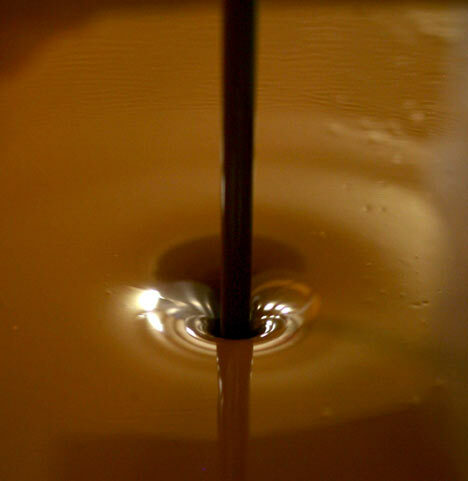 We're inclined to include the chocolate in some of our recipes, along with local recommended wines, in our contracted book, BACK OF THE BOAT GOURMET COOKING. Chocolate and wine! I think there is no better true love match! !- Shared!